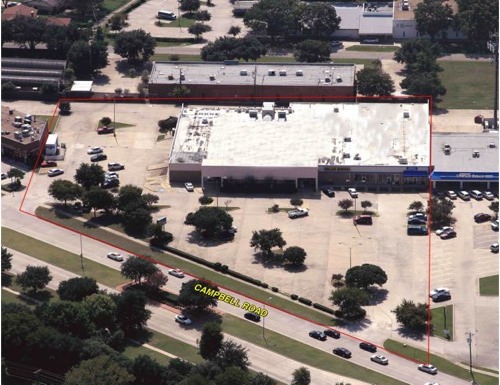 521 W. Campbell is located on the south side of Campbell Road just west of Custer Road in Richardson, Texas. The center offers abundant parking, and is conveniently located near neighborhoods, the University of Texas at Dallas, and Central Expressway (US 75). Tenants include ½ of ½ Name Brand Clothing, Dollar General and Banana RC Raceway.